The craft beer scene in Tucson has grown at a rapid pace in recent years with breweries popping up all over town. Beer lovers have lots to love these days thanks to the passionate work of local brewers. Recently though one long-time brewery along with the statewide collective of women brewers showed that they have heart when it comes to giving back to their community. Barrio Brewing Company recently announced that sales of their commemorative State Bird Double IPA have raised $10,000 for women’s shelters statewide. Most remarkable is the fact that this goal was raised a mere five days after distribution began with the help of Hensley Beverage Company. State Bird was distributed to over 130 bats and breweries statewide. Tucson shelter, Wings for Women, will receive $3,500 from Barrio Brewing Company with the rest of the funds going to shelters in Phoenix, Flagstaff and Prescott. What a wonderful way to celebrate Arizona Beer Week . Viva La Local is Back! Three Cheers! 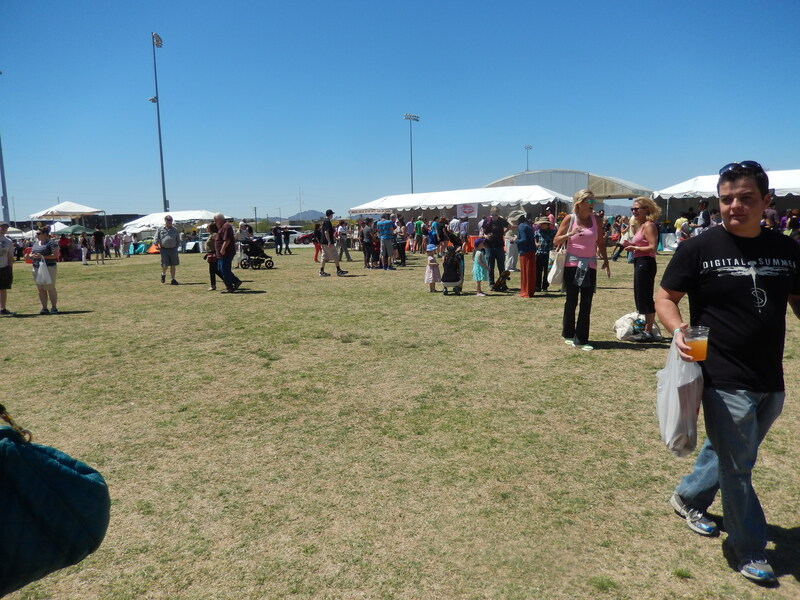 On Saturday, one of my most favorite foodie events, Viva La Local Food Festival, takes place at Rillito Park. Viva La Local is a gathering of food, wine, beer, music and joy where locals can celebrate locals in a comfortable, relaxing, family-friendly atmosphere. People can taste foods from over 25 local restaurants including Tavolino, D’s Island Grill, Pasco, Rod’s KC BBQ, Prep & Pastry, Renee’s Organic Oven and many more. Beer will be poured by Borderlands Brewing Company, Barrio Brewing Company, Dragoon Brewing Company, Sentinel Peak Brewing Company and Thunder Canyon Brewery. Wine is from Arizona Stronghold Vineyards. The event is part of the Heirloom Farmers’ Markets (the monies raised benefit this fab group) and as such the market is a key part of the fun. You can shop for your groceries, stash then at the “Veggie Valet” and then enjoy the rest of the festival. Music ranges from jazz to blues, rock to funk and something for the kids called Mr. Nature’s Music Garden where families can “build positive foundations for social interaction and motor skills through song, dance, storytelling and art!” and a petting zoo. Sounds like fun. These photos don’t do the event justice but make plans to attend.